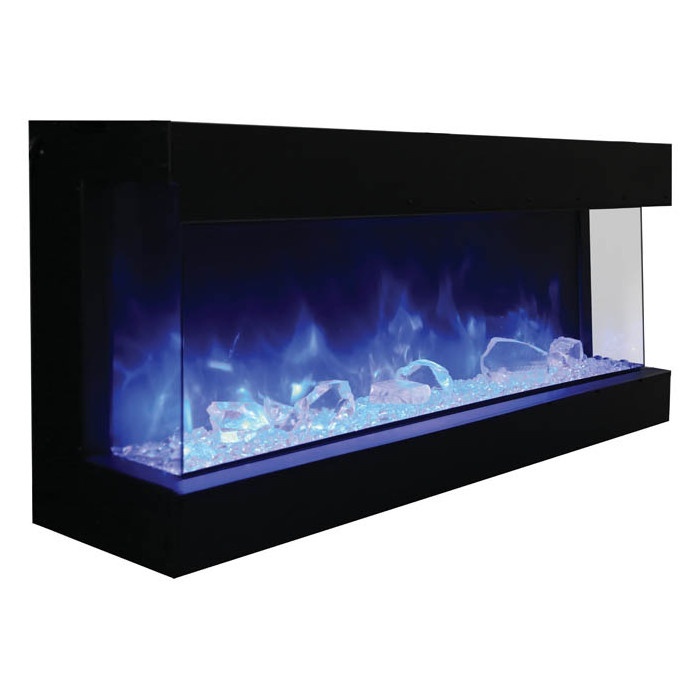 The Amantii 60″ 60-TRU-VIEW-XL 3 sided electric fireplaces is a true innovation! The stunning flame presentation and unique media options can now be viewed from almost any angle. Four installation options: 3 sides open, left side open, right side open, both sides ‘closed’. Bold, modern design intended for building materials to finish flush with glass.